Antioxidants certainly have a large number of health benefits and if you’re not already eating them, you are missing out. To extract energy from the foods you eat, you body uses oxygen but in doing this, it releases harmful by-products and these by-products are called ‘Free Radicals’. The problem is, if these free radicals are left to accumulate in your body, they damage your cells and vital organs, which can result in a number of unpleasant side effects. One of the great advantages of antioxidants, is that they neutralize these free radicals, protect against the damage they cause and have a positive effect on your health. In this short article we will be expand a little further on a few of the different ways antioxidants benefit your body and listing four of their main health benefits. Free radicals accelerate the aging process in many different ways. They can damage your hair, nail and skin cell, as well as give them a dull, lifeless appearance. They can also inhibit the function of your vital organs and reduce your energy levels. By eating many different sources of antioxidants, you can protect yourself from these harmful Free Radicals and at the same time, help prevent this free radical damage. As a result, your hair, nails and skin will become more vibrant and full of colour, which makes you look younger! You will also feel younger, simply because you will be full of energy and all your vital organs will be performing at their peak. Free Radicals have a highly negative effect on your vital organs and are believed to be one of the leading causes of some of the most common chronic diseases including cancer, diabetes and heart disease. However, if you eat a diet that’s rich in antioxidants, you can protect your vital organs from this oxidative damage and reduce your risk of contracting these chronic diseases. Your brain is one of the most susceptible vital organs to free radical damage and over time this damage can lead to memory loss and related mental disorders such as Alzheimer’s disease and dementia. By loading up on antioxidants, you can boost your brain, keep it safe from these unpleasant mental disorders and enhance your memory in the process. Free radicals limit the production of immune system cells and leave your body susceptible to disease, illness and infection. However, if you eat plenty of antioxidant rich foods, you can stimulate the production of immune system cells and put your body in the best possible position to fight infection and stay healthy and disease free. We hope this short article has given you a deeper understanding of how the antioxidants benefit your body. To increase your antioxidant intake, try and eat plant based foods with every meal. 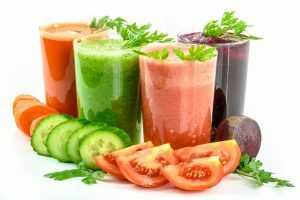 Fruits, nuts, vegetables and seeds are all excellent sources of these powerful nutrients and by eating them regularly, you can enjoy all the benefits listed above and live a long, healthy life.